Dowsing with a pendulum and the Intuitive Healing Charts is powerful and so informative! Below is a introduction from Chapter 1 in The Book of Pendulum Healing. 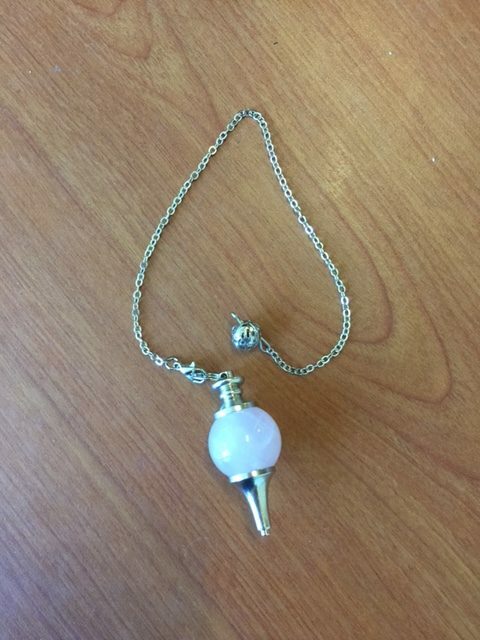 When dowsing, we are using our mind, body, and spirit, and a pendulum to access the invisible realm. With practice and through study of the pendulum and the Intuitive Healing Charts, we have a practical yet profound way to access the spiritual world. When we use the pendulum, the innate intuitive self will be automatically activated. With the help of our super-consciousness, we will be guided to understand both the problems and the solutions available. The pendulum acts as a compass, the charts as a map. You can then create your own healing plan. I read from Deepak Chopra’s book Reinventing the Body, Resurrecting the Soul: “Your body is the juncture between the visible and invisible world” Just as our energy body and chakras are our link within our body to the physical and nonphysical aspects of our bodies, so the body is a link between material and spiritual worlds. Should we become sick, it’s wise to look at all aspects of our being. Yes, most assuredly, go to the doctor, especially when facing imminent danger, but also do the inner work (afterwards) to discover the bigger picture, finding out what is out of balance—spiritually, mentally, and emotionally. With the pendulum and the Intuitive Healing Charts, we can begin investigating, learning, and truly healing; and in the process we can come to know ourselves at a much deeper level. A reminder—you can purchase a copy of The Book of Pendulum Healing here.